In middle school, a bunch of guys decided to do a pizza eating contest. I joined in, and as a 4'8 115 lb girl, I out ate every single guy there by eating 3.5 whole pizzas myself. I was so sick afterwards. @Yeh, sometimes you just want a light snack. 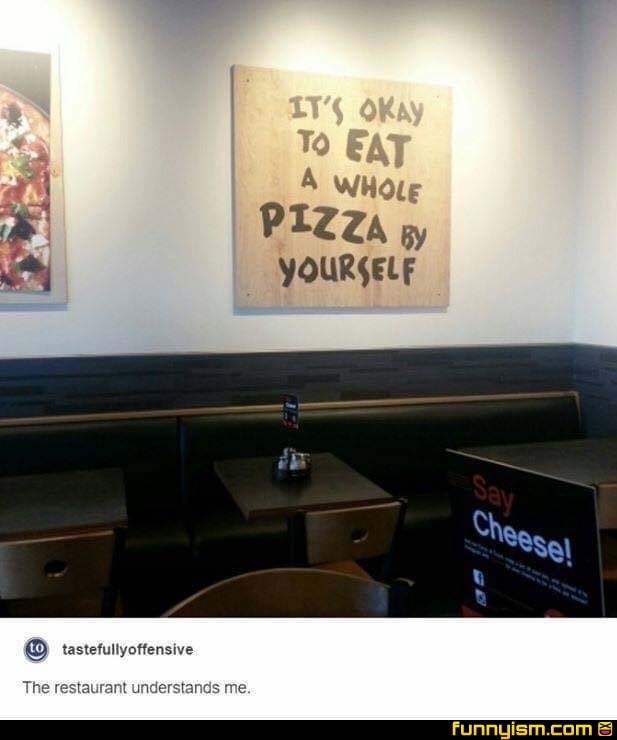 This restaurant sells custom pizzas that are fairly small so it’s a bit misleading about the whole pizza thing but I have no issues with a whole pizza by yourself though.